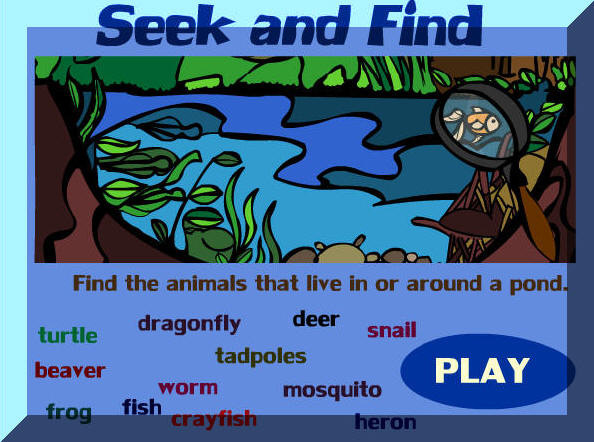 Find the animals and learn about them. 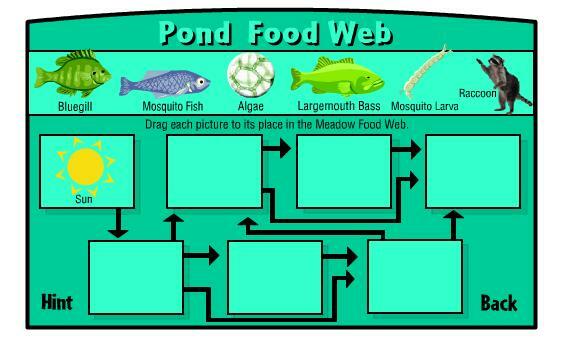 Then learn about the life-cycle in the pond and woodland areas. The citizens of a nearby town want to develop a park in the area that surrounds their local pond. They want the park to include a parking area and two forms of recreation. 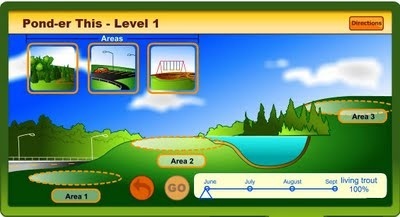 But how will changes to the land affect the fish in the pond?